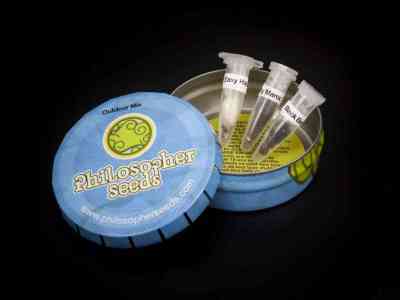 This Outdoor Mix gives you the possibility to try some of Philosopher Seeds’ best outdoor strains in a very affordable way. It includes three strains of renowned high yields. These plants show their full organoleptic potential when planted outdoors. This mix contains the unique Early Maroc, famous for its early flowering. You can easily identify each strain thanks to the corresponding labels.